We are car nerds and innovators. We believe in making your life easier through better tire service. Not one of those climate-controlled, Silicon Valley-types of garage. This was an actual car garage, with tools, tires, and gas cans. We were car nerds long before we became entrepreneurs. We loved our vehicles, but one thing we hated was getting our tires serviced. Taking a car to the tire shop was inconvenient and frustrating. It was hard to find an honest mechanic that didn’t overcharge us or damage our nice wheels during the tire replacement. After years of dealing with this frustration, we decided to do something about it. We wanted to create a tire service was fast, friendly, and professional. On top of that, we wanted a service that came to directly to you. That’s why we created Zohr. 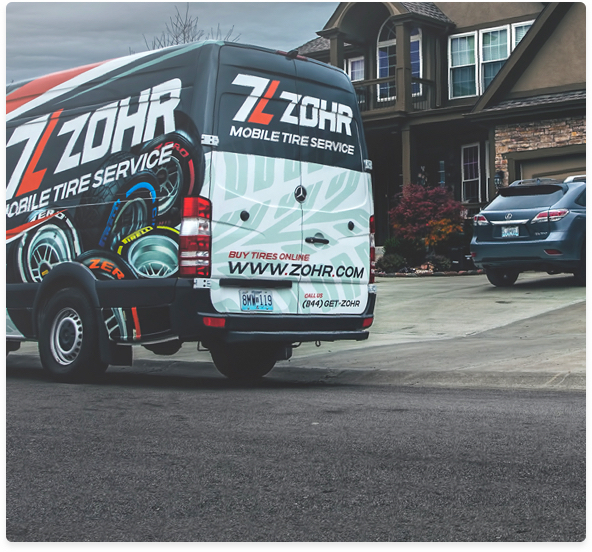 Zohr started in 2015 with an empty cargo van, a few tools, and a vision to repair the tire service industry. We’ve since upgraded our fleet of vans, but our core mission remains the same: Offer you a simpler way to get your tires changed. Your life is busier than ever. The last thing you want to do is waste time at a tire shop. 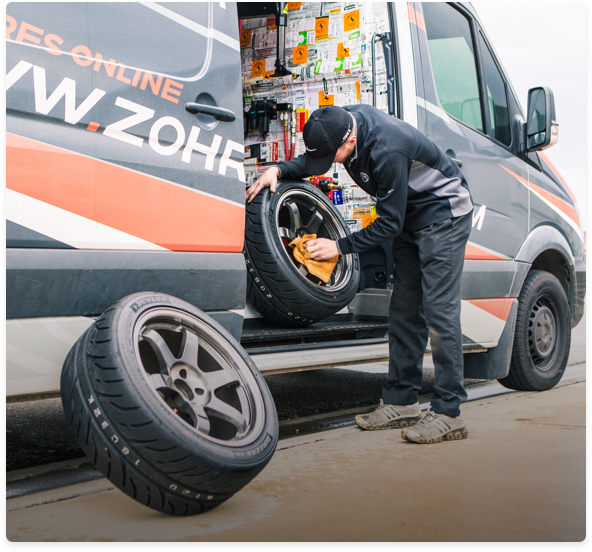 That’s why Zohr works hard to provide quick and convenient tire service when you need it. Our expert technicians are easy to talk to and will always charge you a fair price. That’s what we expect for our own cars, so that’s what we do for you. We lay down at the end of the day and dream of ways to make your life easier. Because innovation, convenience, and honesty drive everything we do.